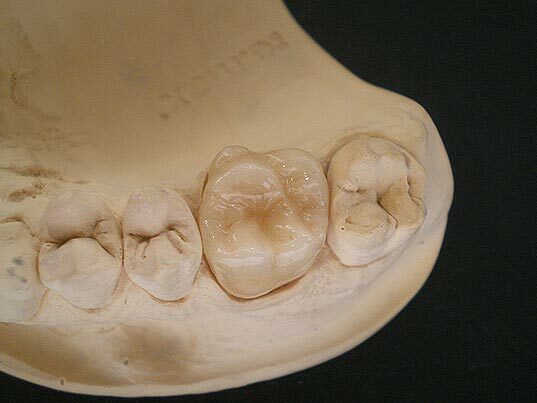 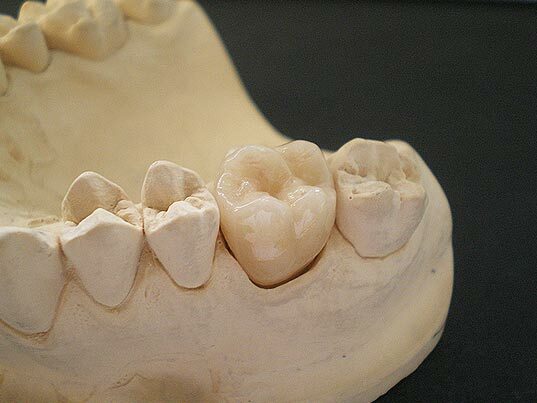 Crowns are made in an innovative LAVA™ system with a CAD/CAM method from the 3M ESPE company. 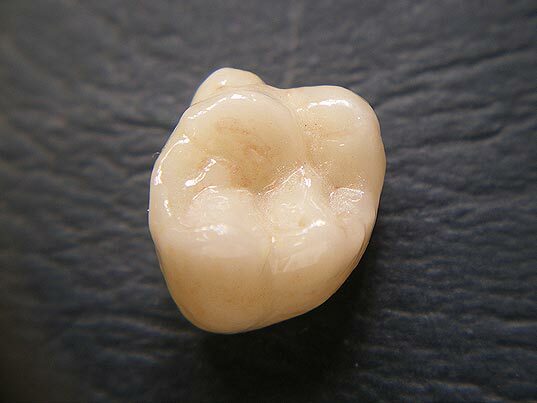 Each fusion in the LAVA system comes with a 5-year guarantee. 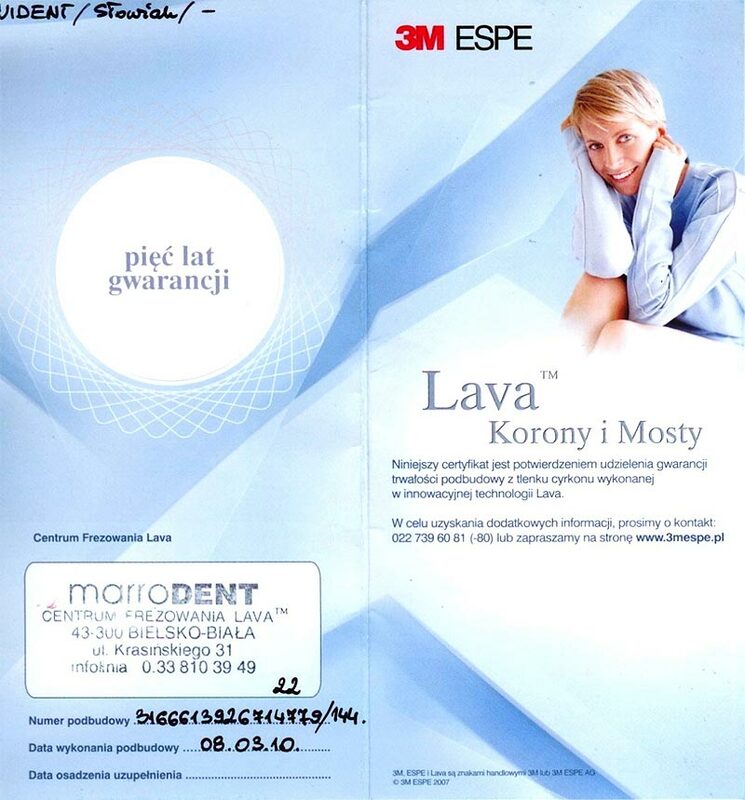 A certificate is also issued with numbers of blocks from which the fusion was cut out of. 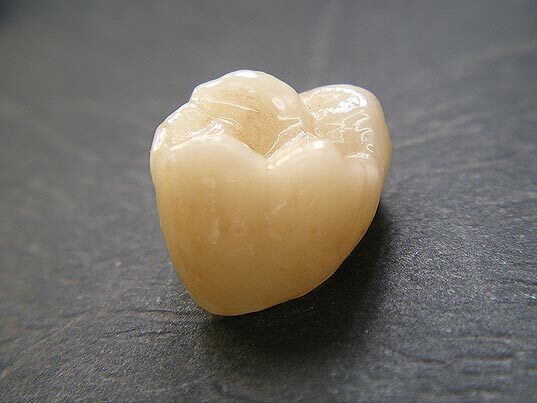 All fusions from zirconium oxides are cladded with IPS e.max Ceram cladding from the Ivoclar company. 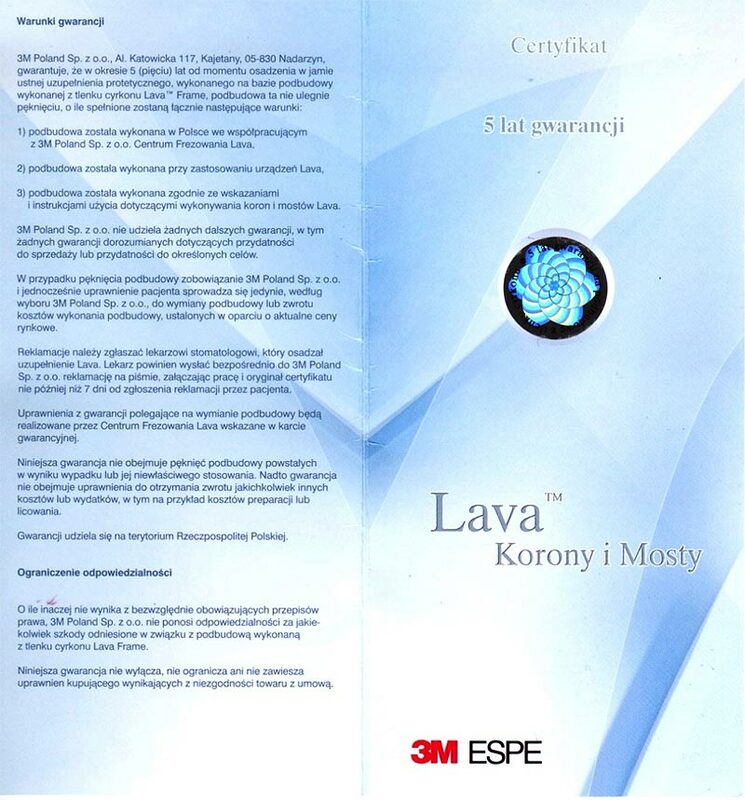 LAVA certyficate: page 1 | page 2.